Nawaz Sharif left for the UK for a purported medical check-up amid chaotic political scenes by the opposition demanding his resignation in wake of Panama Paper leaks. 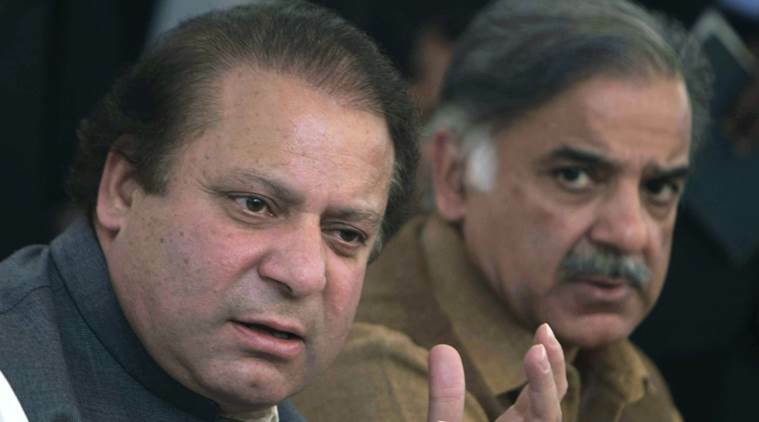 The Pakistan government Wednesday denied that Prime Minister Nawaz Sharif’s sudden departure for London was an effort to seek support from former president Asif Ali Zardari against a possible backlash over the names ofthe premier’s children figuring in the leaked ‘Panama Papers’. Sharif left for the UK for a purported medical check-up amid chaotic political scenes by the opposition demanding his resignation after his daughter and two sons were mentioned in the Panama Papers as having secret offshore companies. Pakistan Tehreek-e-Insaaf leader Imran Khan is consulting other parties for a joint possible protest outside Sharif’s residence in suburbs of Lahore and Zardari’s PPP joining the agitation that may make things difficult for the government. Senior Pakistan People’s Party leader Aitizaz Ahsan said yesterday that Sharif was going to seek support of Zardari who has been living in London for past several months. Interior minister Nisar Ali Khan rejected the impression that Sharif was in tight corner and needed Zardari’s support. “For the last three weeks, his (Sharif) health has deteriorated for which the prime minister had to travel,” he said at a press conference in Islamabad. “In this country some people cannot even get ill as rumour-mongers keep on politicising the issue,” he said. Khan revealed that the Prime Minister has been facing heart problems for the past many years which have exacerbated in the past two to three months. Sharif later arrived in London for what the government had said was a “routine medical checkup, which was repeatedly postponed due to his official engagements over the past few months”. Sharif has been under pressure ever since a massive leak of over 11 million tax documents on April 3 exposed the secret offshore dealings of world leaders and celebrities, include Sharif’s three children. He had later addressed the nation and also promised to set up a commission to probe any wrongdoing. However, the formation of the commission was delayed as the opposition rejected it.